It was a decision that rocked the Isle of Man TT paddock. Michael Dunlop threw away his factory ride with the Milwaukee Yamaha team just two days before the RST Superbike race and opted to switch back to the S1000RR on which he had so much success in 2014. His own Superstock and Supersport bikes were already on the island while Steve Hicken and the Hawk Racing team didn’t take long to make ready a Superbike and get that on to a ferry in readiness for Friday evening’s practice session. “Let’s go back to the beginning when the agreement was put in place. I think what was difficult for Michael to understand was how late everything was coming to us, which meant the preparation of his bikes was also going to be late. They were also going to be third in line as we had to get the BSB stuff ready. So we had him testing with us on what was effectively a Superstock bike from day one,” Muir told BSN. To compensate for the BSB disappointment, Dunlop was given two days at Kirkistown, a day at Oulton and a ThundersportGB meeting at Donington Park before his first proper event at the North West 200. However, its long, long straights threw up a problem with the engine. Although the meeting wasn’t a success for the team, it wasn’t a disaster either, especially in Superstock trim. “At the North West, we didn’t get a single flying lap on a Superbike,” continued the Milwaukee boss. “We had an engine problem which threw up issues at the North West that we didn’t expect and wouldn’t see on the short circuits. I think Michael’s mind was made up that he needed a Plan B and he should have been honest and open at that point. We now know what Plan B was but my guys had worked zillions of hours, unreasonable hours, stupid hours, travelling to Germany with all the bikes, found the solution, came back, turned up at the TT. “The Yamaha guys were right behind us and on the first night’s practice he just wasn’t happy with it. Same little problem came up but on the Superstock bike. Superbike was fine, 600 was fine. Went out the second night when I was there, the Wednesday night. Literally did another lap on each, came in and said ‘I’m not riding it, I can’t win on it.’ And that was the end of it. “It was clear that wasn’t going to change. We sat and talked late into the night, Wednesday night, and after consulting Yamaha we thought it was in the best interests of all parties just to not get into conflict, if I use the right word. “And I guess at that point I was honest and just said I’ve never forced a rider and never want a rider not to want to ride my bike. I felt it was in the best interests of all parties for us to release Michael so he could go and ride another bike and hence it left Michael with options and left the wider public with the rider they wanted to see. “It left us with a big headache. I think the disappointing part is, and it’s been well publicised, is the 600 was always going to be a race winning bike, so that’s two out of five races he could have won. Even though it was common knowledge to the paddock late on Wednesday night, the wider world didn’t find out until Thursday morning. Muir had time the previous evening to reflect on what it meant. “We got a raw deal. We felt we got a raw deal. 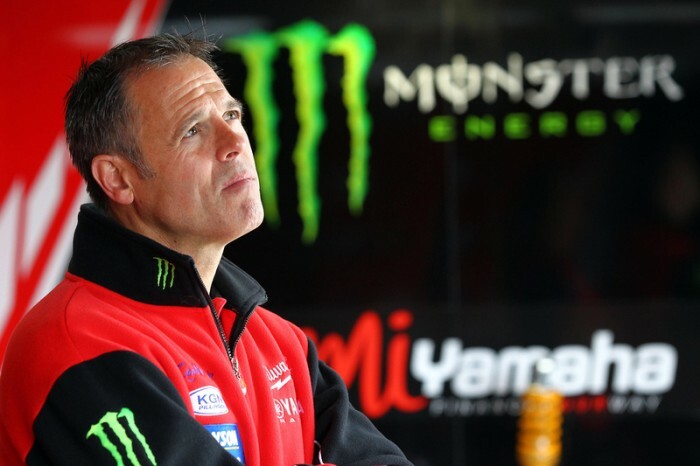 Look at it all along, if Michael had taken the TT that year for what it was meant to be, he could have won two Supersport races, he could have been a top six in Superstock and realistically in the top three or four in the Superbike races,” the team principal divulged. “Were there goals at the start of the year that we give him bikes to win? We want to go out to win but sometimes you can’t win and you’ve got to accept second place. Unfortunately that’s not in Michael’s make up and I wish he’d told us that if it wasn’t capable of winning he wouldn’t ride it before the start of the year. “That’s not in his contract or anyone’s contract. We felt we went with a bike that could win and unfortunately it wasn’t given a chance or the laps to develop to a point that it could win. Year two would have been a perfect scenario and a strong relationship with Michael Dunlop staying with Yamaha for a second year. We never got to that point, it was never afforded the time or the chance. For that reason you just feel it was a very sorry situation to be in.